The most exciting part about thrift store or antique shopping is that you never know what you are going to come home with. Go in looking for something specific and you're likely to leave empty handed. But enter the store with an open mind and willingness to look around and you will undoubtedly find a treasure. Chances are, though, that treasure will need a little work to be something worth showing off. By far, a simple coat of paint is the easiest way to update just about anything that you'll find. With just a little time invested and not much money at all, you can have furniture and accessories that are right on trend with what people are paying a lot for in stores and online. And paint knows no style. It doesn't matter whether you decorate in a farmhouse style, fill your home with shabby chic pieces, or prefer a clean line, modern look. It is the type of piece that you choose to paint and how you finish it off that will determine whether or not it fits in your home. A thrift store chair can be painted black and placed immediately into a contemporary space. 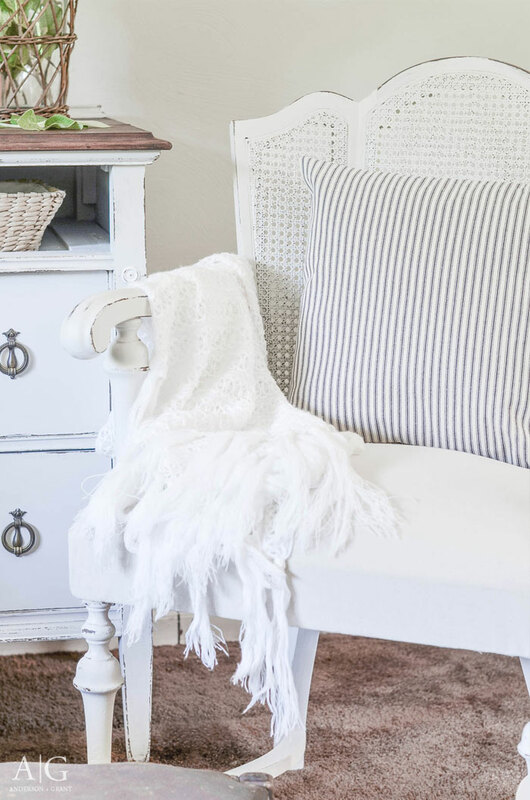 Or, the same chair can be painted in a fresh white and distressed for a Fixer Upper style home. 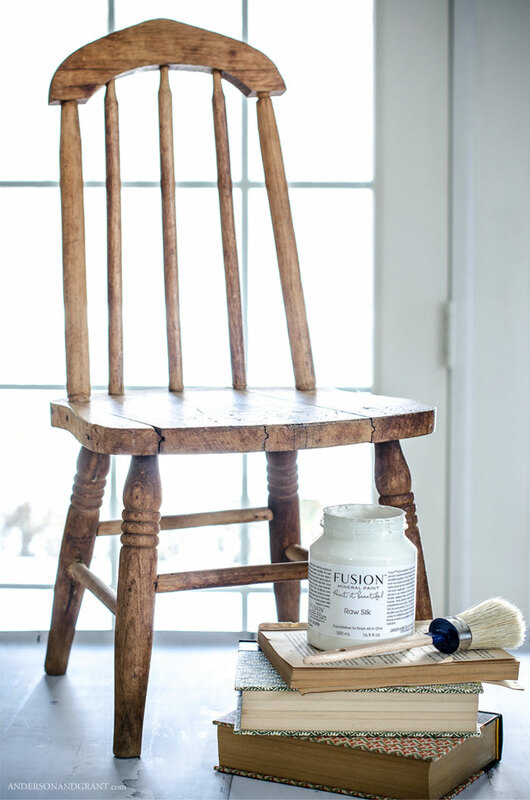 Use a bit of antiquing wax over the paint and distressing to age the chair to have a bit of vintage charm. And this same thought can be applied to any furniture, candlestick, wood bowl, or whatever you find speak to you at the store. Please know that some of the links in this post are affiliate links that have been added for your convenience. You can view my disclosure policy here. Over the past few years, I've found my share of diamonds in the rough that needed just a few coats of paint to uncover their beauty. 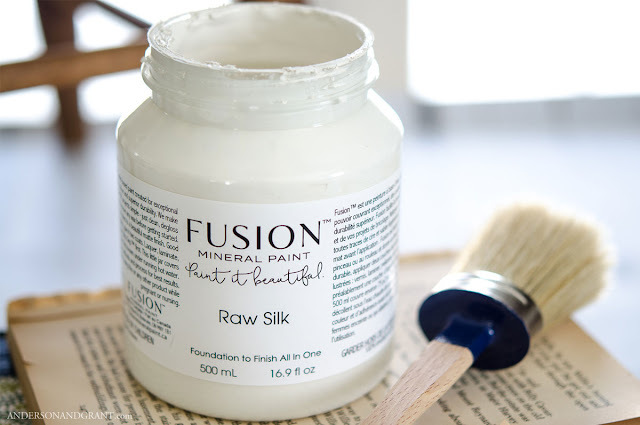 While I'm partial to Fusion Mineral Paint, you can also choose chalk paint, milk paint or basic latex paint to update any of your finds. 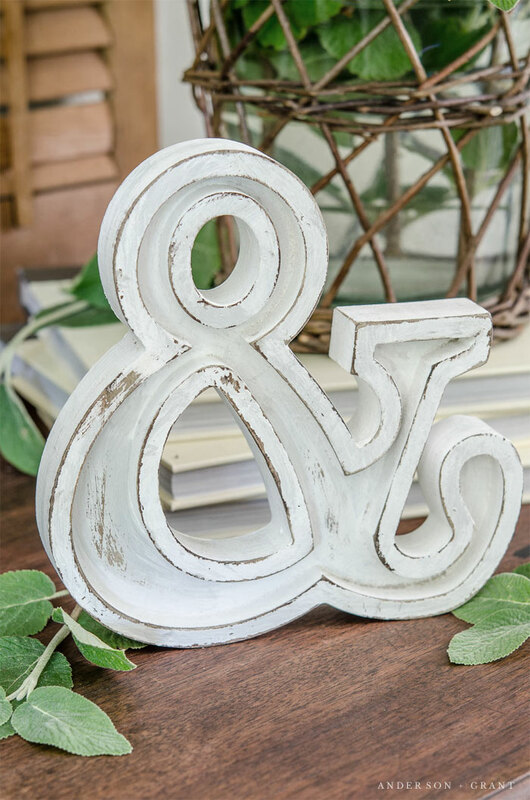 The majority of this fancy ampersand letter is constructed out of plain MDF (or medium density fiberboard), which isn't something that you'd want to see peeking out from behind the distressing. It was so easy to stain, though, and once the letter was painted, you'd never guess that the entire thing wasn't made of real wood. For something picked off the clearance shelf at Michael's, it was a quick, easy, and relatively inexpensive update. When I purchased this chair from an estate sale, I was forced to look past the dark stain and worn tapestry upholstery. Now, it couldn't look any more different painted in white with drop cloth material covering the seat. 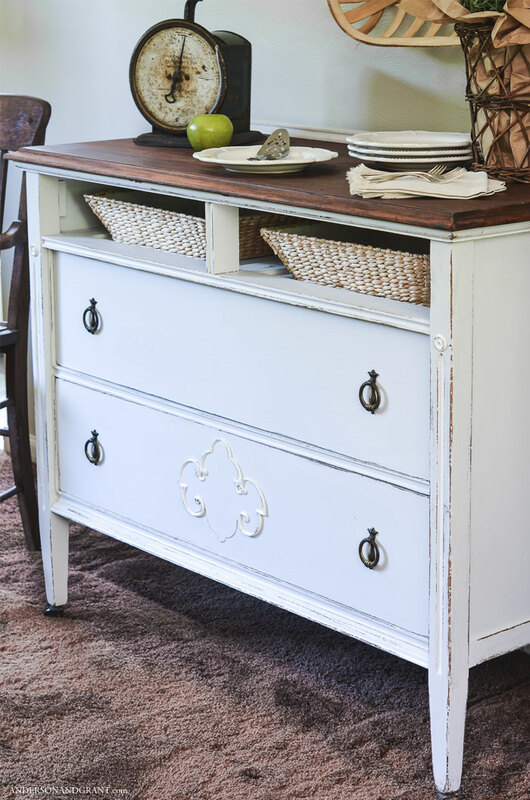 The dark stain creates a beautiful contrast in the places where the paint has been distressed. 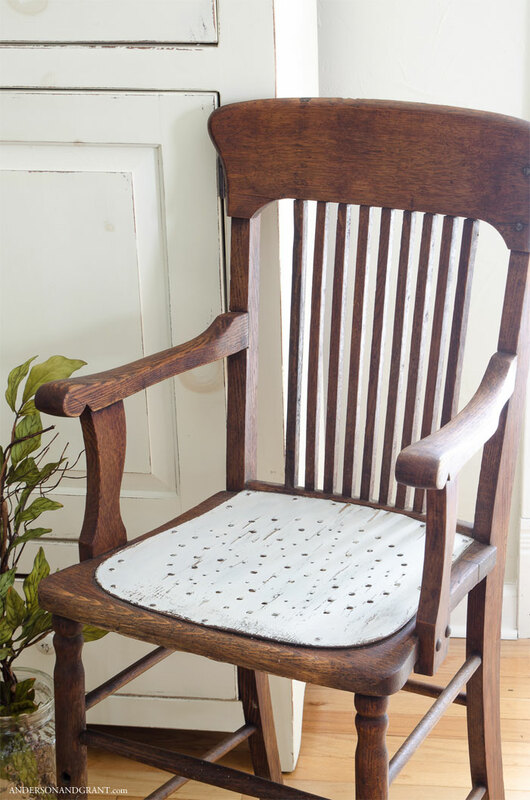 See how this chair went from dark and dated to a modern farmhouse classic. These bowls were just basic wood salad bowls that are found in quantity at most thrift stores. Although they may lack a little style as they are, paint and distressing give them them the look of having been around and used for years. Add some apples and you've got an easy and useful decoration to sit on your counter. 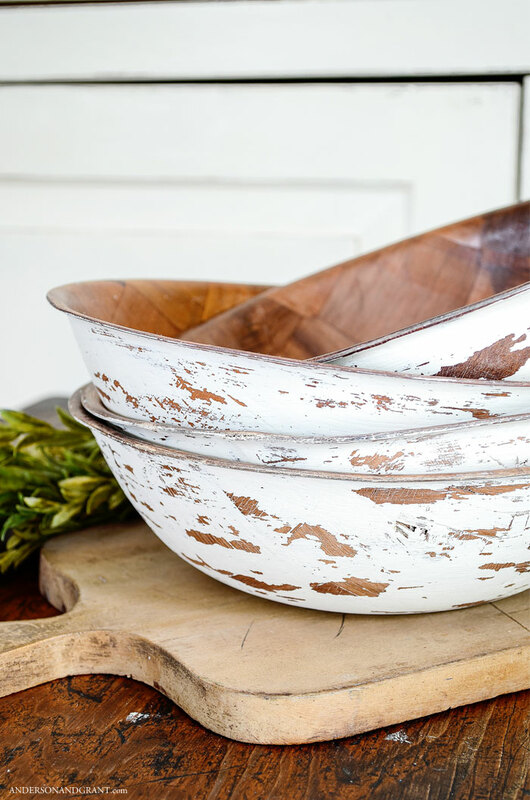 Create farmhouse style bowls from a common thrift store find. There are times when you may find a piece of furniture that is no longer used for it's intended purpose. I picked this stand that originally held a radio up at a yard sale for just $5. Although it was in very rough condition, you'd never know that it wasn't a priceless antique console table after a few coats of paint. See the dramatic before and after of this radio stand. So many times I've seen kitchen tools, hardware, and metal objects that are covered in rust. Not something you want to use or place in your home. 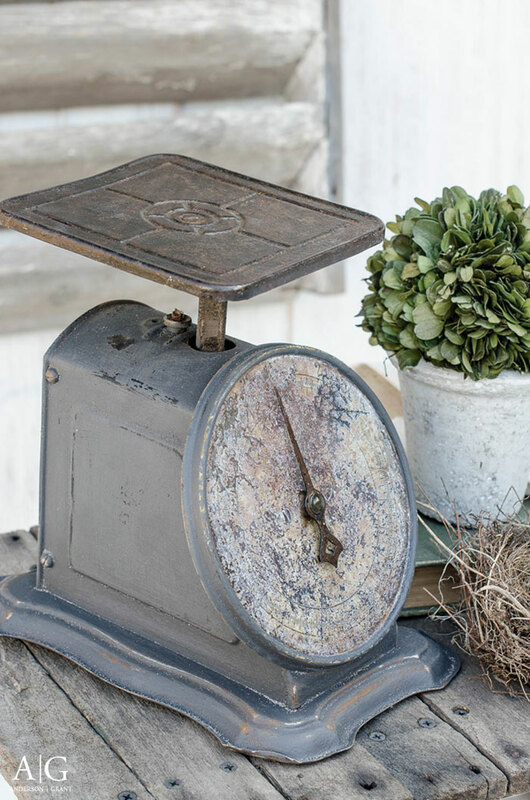 But it is possible to seal over the rust and even add a painted finish like I did on this old kitchen scale. 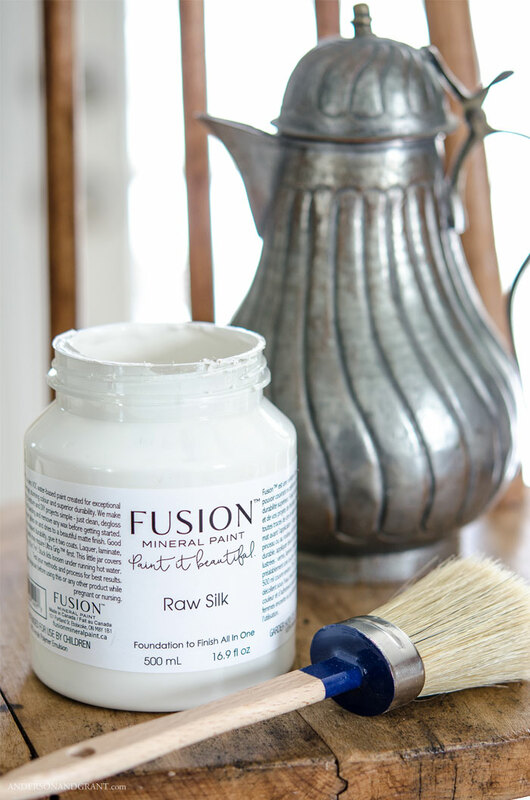 Learn the steps you need to take to cover rusty metal with paint. 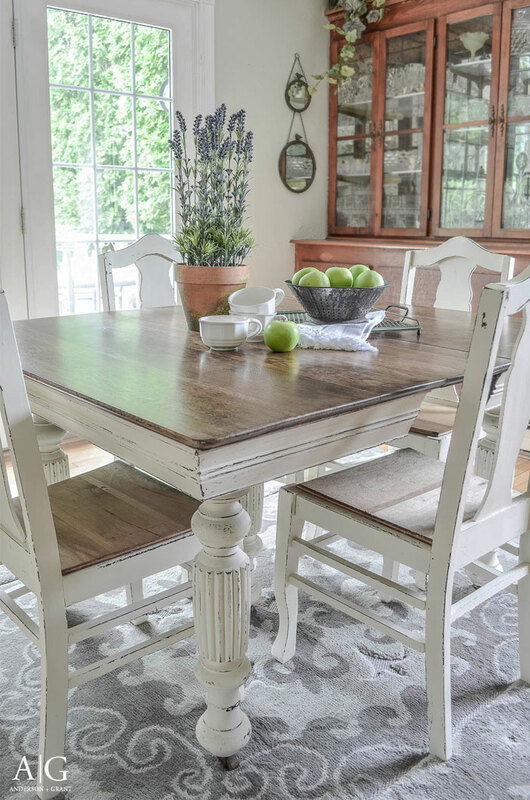 For many years, this antique table sat in my basement because the thought of removing the old stain from the legs and fancy trim was overwhelming. However, stripping just the flat tabletop and painting everything else created an updated dining set that fits right in with the style of my home. See some up close pictures of this antique dining table. In it's former life, this decorative storage piece was a picnic basket. When I spotted it at Goodwill, I found that one handle had bee broken off. It was an easy fix to remove the other handle and lid before painting and distressing the outside. Now it is the perfect place to store blankets, magazines, or even extra toilet paper in the bathroom. 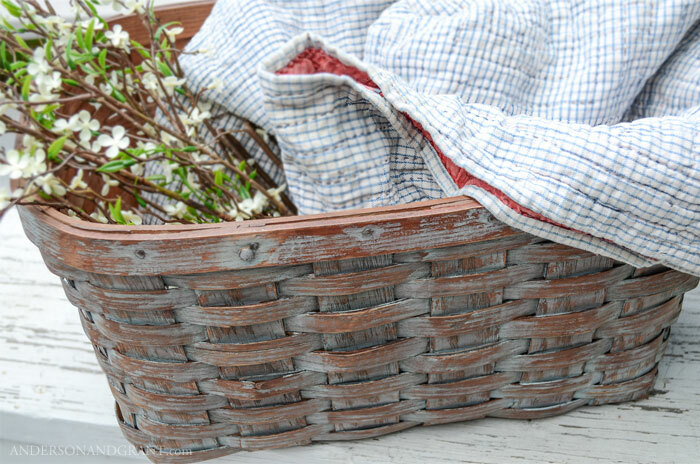 Discover how to give a realistic worn finish to a basket. 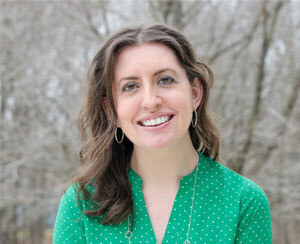 A lot of times, the furniture that ends up at thrift stores and consignment shops is damaged. Although this dresser was very sturdy and had beautiful hardware and details, it was missing one of the small drawers at the top. A coat of light gray paint updated the base and white paint was used to highlight the details. The other drawer was removed and the space inside the dresser was given a coat of the same gray paint. A couple baskets from The Container Store were added in place of the drawers, transforming this old dresser into a unique custom piece of furniture that could be used in a variety of rooms. 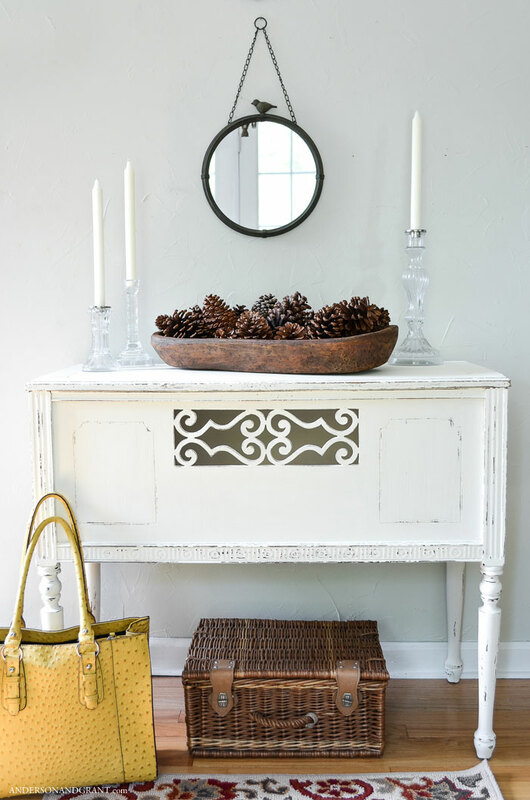 See the before and after of this antique dresser. Have you ever seen those mirrors and candle sconces that look like they're made of gold, but are really plastic? While gold is definitely popular, fake gold isn't so much. It is tempting to walk away from items like this because they are made of plastic. 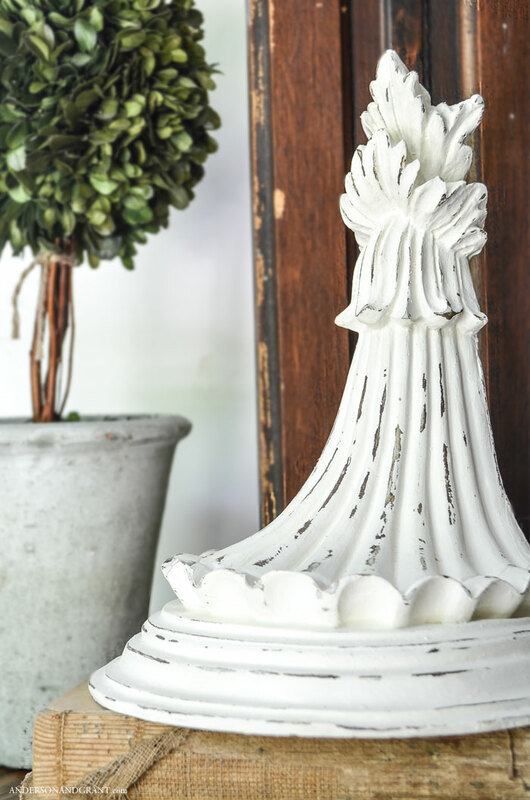 But plastic can be painted and when done right, can even be distressed giving the impression that the item is made of wood, like these resin corbels. Find out how to make resin look like wood that is chipped away. This antique high chair (or booster chair) had likely seen much use back in the day. The wood looked a little tired and dingy, but cleaned up nicely with hemp oil. The seat of the chair, however, didn't fair so well. There were places where the wood was chipping away and was too far damaged for the hemp oil to bring it back to life. By painting just the seat, I was able to preserve the beautiful chair just as it was and easily add a unique contrast to the old wood. Learn how to use hemp oil to restore old wood. I hope that this post has inspired you to take a trip to a local shop just to see what you can uncover and transform on your own. It is possible to have style and beauty in your space regardless of the skills you think you have or the budget you can spend. If you would like to share some projects that you've done involving paint with me, feel free to tag me on Instagram, Facebook, or send me an email. I'd love to see what you've created!